Borgo de Pazzi Stout is organically farmed wool yarn spun from untreated fiber. 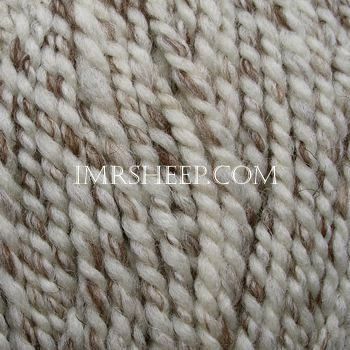 It is manufactured in duo-colour twists of natural sheep fleece hues. 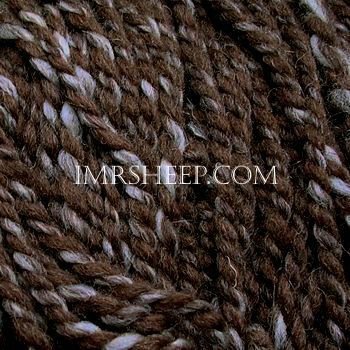 This yarn is in light chunky weight and has a thick-and-thin home-spun texture. 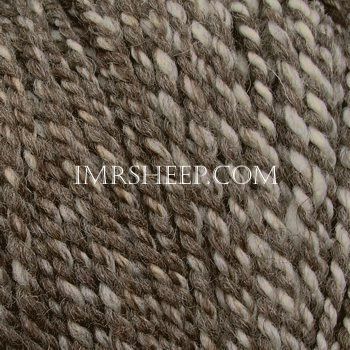 If you are fond of knitting or crocheting in calming hues of "Old World", this yarn will definitely suit your desire. PULLOVER & LOOP © SANDRA STRICKEN № 3-2015. 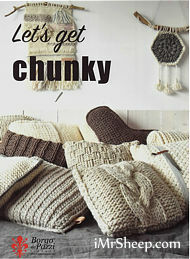 Let's Get CHUNKY, Borgo de'Pazzi Book. 104 pages / 37 chunky desings using Borgo de'Pazzi Yarns: buskets, rugs, wall handings, shawls, cowls, scrves, cusion and stool covers, blankets.